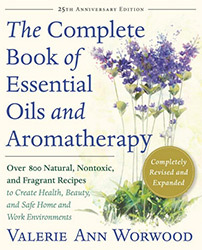 Melissa Essential Oil is often adulterated. Purchase only from reputable sources that test their oils. Melissa Essential Oil is steam distilled from the leaves and flowers of Melissa officinalis, an herb most commonly referred to as Lemon Balm and sometimes as Bee Balm. Lemon Balm is easy to find and grow. Although the leaves of Lemon Balm are quite aromatic, the leaves and flowers do not yield much essential oil. Therefore, the oil is often adulterated, and true Melissa Essential Oil commands a very high price. Aromatically, Melissa Essential Oil possesses a wonderfully fresh, lemony, green and slightly herbaceous character. It's a delightful aroma that many find pleasant. Melissa Essential Oil is comprised of approximately 60% aldehydes and 10% monoterpenols. Citral (geranial and neral) is the key aldehyde present within the oil and is primarily responsible for the oil's beautiful, lemony aroma. There is also around 10% Citronellal present within the oil. Due to its citral content, Melissa Oil needs to be used with care and shouldn't be used above 0.9% in topical applications. Refer to the Safety Information section below for more safety hazard and contraindication information. Melissa Essential Oil can be helpful for acne and oily skin. Because the essential oil poses a high risk of skin sentisization, however, Melissa Hydrosol can be a much safer and more affordable alternative. I personally find that Melissa Hydrosol is quite helpful in assisting with my oily skin. Source: Valerie Ann Worwood, The Complete Book of Essential Oils and Aromatherapy, 25th Anniversary Edition (Novato, CA: New World Library, 2016, 605. Source: E. Joy Bowles, The Chemistry of Aromatherapeutic Oils (NSW, Australia: Allen & Unwin, 2003), 196.